DAVID LE/Staff photo. 2/19/15. 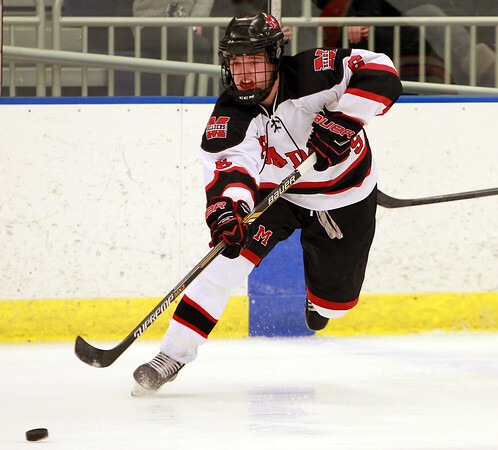 Marblehead senior captain PJ Roy saucers a cross ice pass against Beverly.